Afternoon teas make for the perfect soiree, especially when it’s Givenchy x Ritz-Carlton, Hong Kong. 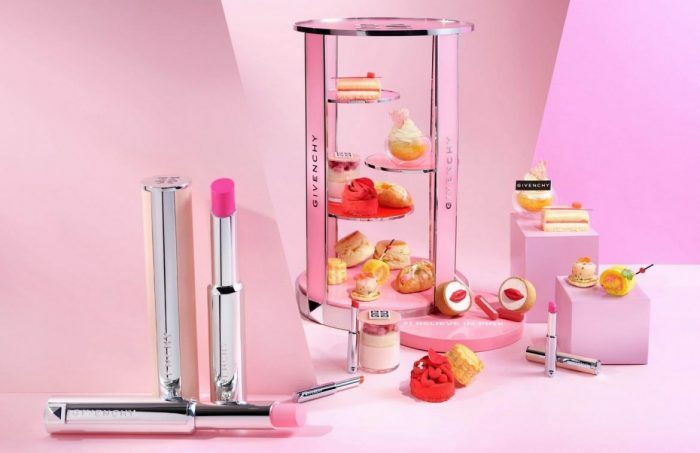 From February 1st to March 31st, celebrate Givenchy’s I Believe in Pink Afternoon Tea afternoons that have been inspired by the newly released Le Rose Perfecto lipstick collection. The range focuses on three key elements, nourishing, smoothing and plumping action by infusing shea extract for maximized hydration and shine. 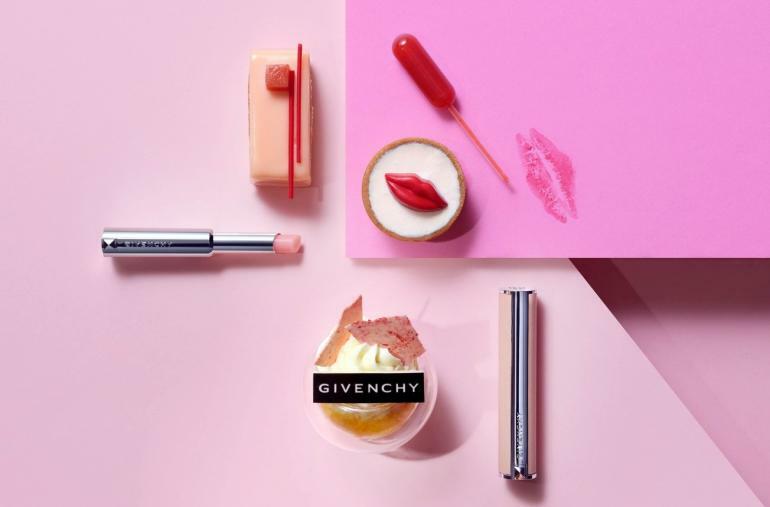 Imbibing traits of femininity, freedom and individuality, Givenchy’s extraordinary makeup range has enthused Executive Pastry Chef Richard Long to inculcate shades of pink hues into his hand-crafted delicacies. “I extracted different shades of pink from natural ingredients such as raspberries and pink guavas,” says Chef Richard. A fine assortment of scones, five sweet items and four savory items has been selected for the menu. Our eternal favourite tarts and treats have been given a twist and transformed into gourmet delights. Pink Kiss is a novel take on the run of the mill strawberry tart, oozing with strawberry confit and strawberry mousse, topped with an alluring lip-shaped chocolate art. With Soothing Red, relish crispy raspberry bits coupled with a dollop of silky raspberry cream on top. The rich chocolate cream inside the white chocolate shell creates the perfect contrast to raspberry jam. Perfect Rose is perfectly crafted delicacy curated from rose mousse, almond cake, lychee jelly and the amazingly buttery raspberry crumble. It’s presented in a glass cup, topped with a piece of chocolate with the Givenchy’s iconic logo on it. The showstopper for the afternoon, I Believe in Pink is pink guava and a vanilla cake featuring two delicate layers of vanilla sponge cake with pink guava jelly and vanilla mousse in between. 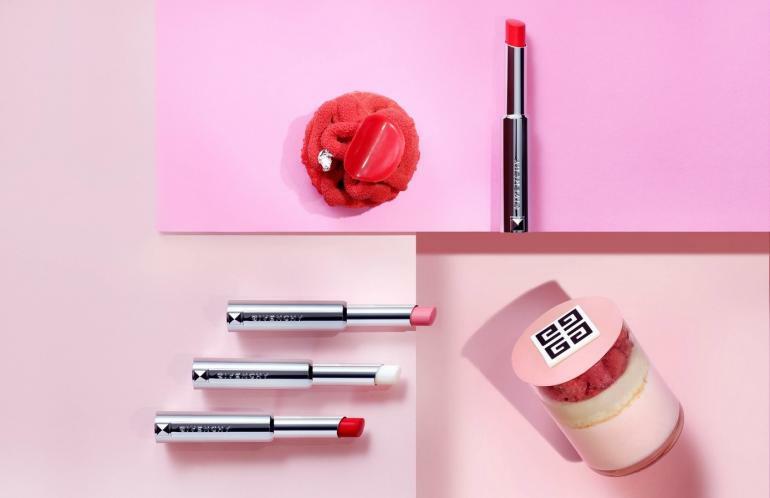 Afternoon tea lovers who come to cherish and relish Givenchy’s I Believe in Pink Afternoon Tea set will get the opportunity to redeem a special gift set including a mini Le Rose Perfecto lipstick and a luxury travel kit of beauty essentials at all Givenchy beauty counters (unfortunately DFS counters are excluded) in Hong Kong. Also, a total of 10 lucky guests will also have a chance to win a full-size Le Rose Perfecto lipstick- details will be announced on Givenchy Hong Kong’s official Facebook Page. © Copyright 2017 Luxury Retail.